Kathleen Rooney, contributor to INCH 16, with her essay “Fever Pitch: on the function of authority in poetry and politics” featured at Poetry Foundation. Anne Velente’s, author of An Elegy for Mathematics (Bull City Press), story, “Mollusk, Membrane, Human Heart,” discussed by Sadye Teiser at The Masters Review. Shane Jones’, contributor to INCH 9, piece, “Albany” included at The Meadow 2016 Literary Magazine. The latest Tinderbox Poetry Journal features a powerhouse line up that includes many BCP friends and family: Kerrin McCadden, Stevie Edwards, Justin Bigos, Stacey Balkun, and more! 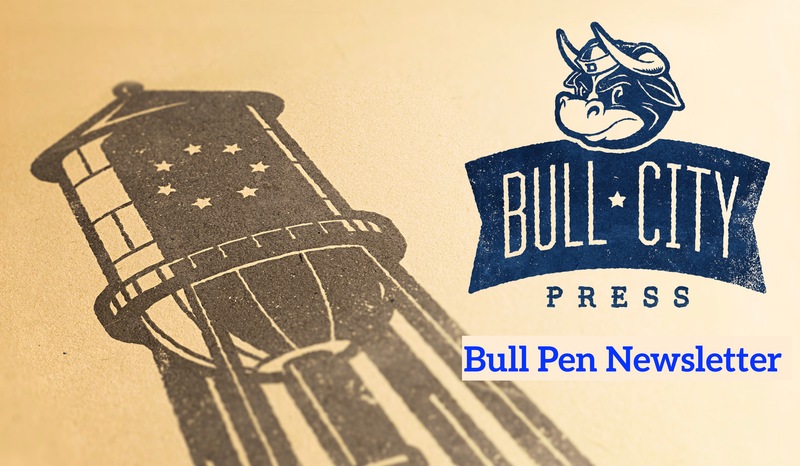 Check out Issue Eighty-Four of The Collagist for BCP author: BJ Hollars—In Defense of Monsters (Bull City Press, due out this year); Grind Daily Writing series participant: Regan Huff; and a review of The Witness(Minerva Rising) a chapbook by Grind contributor, Kelly Fordon. Emilia Phillips–BCP author of Beneath the Ice Fish Like Souls Look Alike, an editors’ selection from the 2014 Frost Place Chapbook Competition–is interviewed at Memorious Blog.